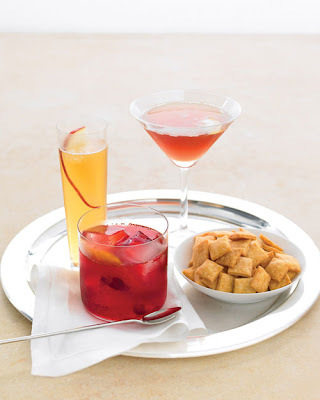 To add to some last minute Thanksgiving additions, here are a few cocktail recipes from Martha Stewart to top off the night! Each recipe yields 1 drink. Combine bourbon, creme de cassis, vermouth, and lemon juice in a cocktail shaker. Add ice, and shake. Strain into a chilled martini glass. Garnish with a lemon slice. Pour bourbon and lemon juice into a tall Champagne glass. Top with apple cider. Garnish with apple slice. Muddle cranberries, sugar, bitters, and orange zest with water in a medium glass until sugar dissolves. Pour in bourbon. Add ice cubes. Yum! Have a lovey thanksgiving darling! Mmmm, tasty! Happy Thanksgiving, gorgeous! P.S. I want Sarah Hayland's dress! Nice post, I like it so much! sounds delicious! hey honey!thank you so much for your comment! !love your blog and this post looks delicious!! !im following you now!follow back? Happy Thanksgiving sweetheart! I hope you are having a great day! I hope you had a great Thanksgiving - if I wasn't so dead from overeating I might have just made these drinks. Thanks for sharing the recipe - I'll be sure to try them this weekend. 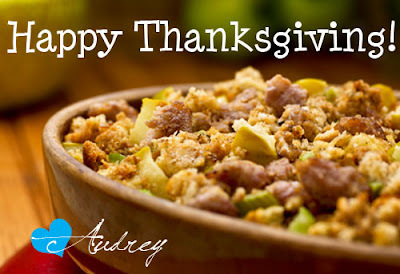 Happy thanksgiving, Audrey! These sound so good. Will have to give them a try. Happy thanksgiving. SOunds just fab! Yum! The 3rd one sounds especially tempting. Wishing you a lovely Thanksgiving Weekend! this is such a great post!! happy thanks giving! i don't cook but these recipes are wonderful! 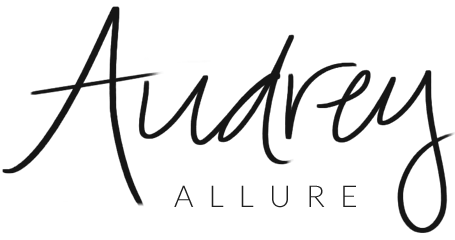 audrey ~ hope you had a great thanksgiving! and thanks for these great recipes!! YUM! I just ate and now I'm hungry again! Great recipes and shop! So cute! after holidays with fam, i need a cocktail or two! thanks. I hope you had an amazing Thanksgiving. I always need a drink with my family. It's always a large crowd. What yummy cocktail ideas--I need to try the American in Paris! Hope you had a great Thanksgiving!